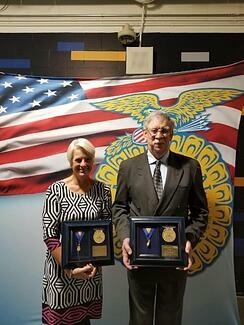 Alan Curler of New Haven, Vt. recently received the Honorary American Future Farmers of America (FFA) Degree. Curler received the award at the 2017 National FFA Convention & Expo during an onstage ceremony on Friday, Oct. 27 in Indianapolis. All recipients will receive a certificate and medal and their names will be permanently recorded.